Killarney National Park - one of our favorite stops during our trip to Ireland. 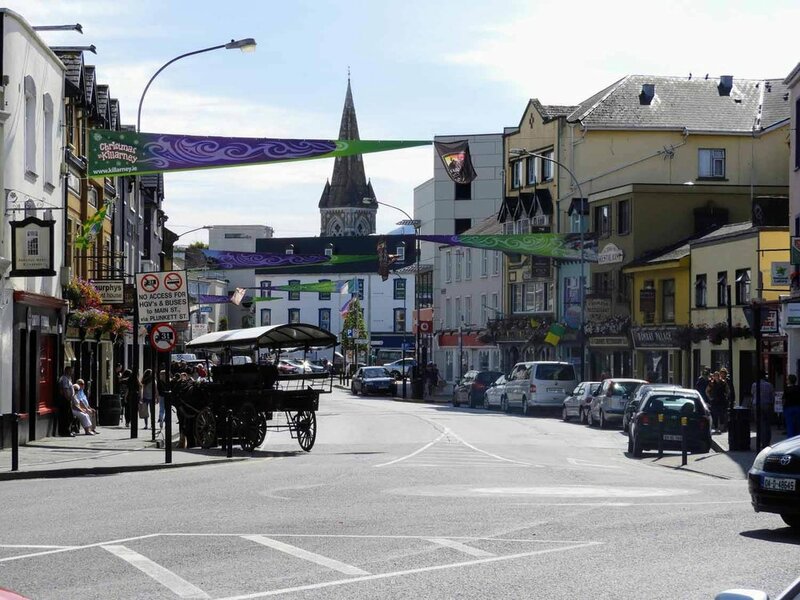 The town of Killarney itself is quaint and offers a variety of shops to browse. Here, we bought a traditional Donegal Tweed cap to bring home with us. We also stopped at an antique store just outside of Killarney where we fell in love with a beautiful gothic-arched window. We had to have it. Getting it home was fun, but it now hangs at the top of our stairs and I think of our time in Ireland each time I see it. I won’t ever forget watching the sunset over the horizon as we wandered around the 15th century Ross Castle along the banks of Killarney's lower lake. 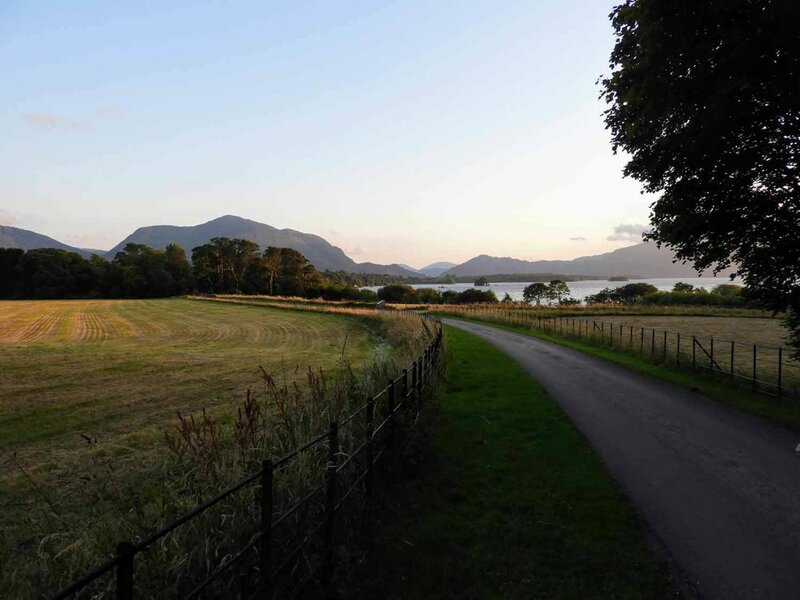 Memories like this are why Killarney National Park will forever hold a special place in our hearts. I’d bet most people visit this castle during the day (as tours are available then), but if given the chance, we recommend a sunset picnic! Ours consisted of bread and cheese - typical for us. 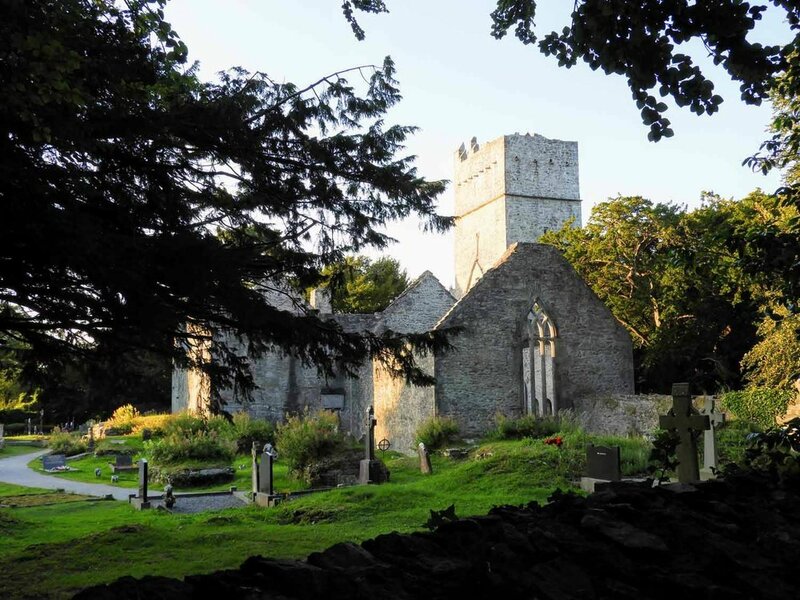 We caught the Muckross Abbey just at the right time - the golden hour. We soaked in those last few minutes of sunshine before twilight set in. 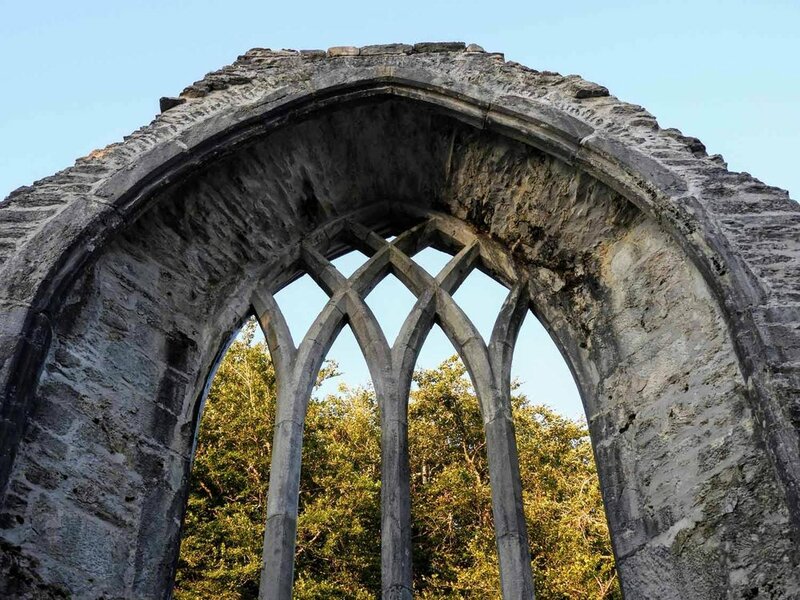 We loved exploring the 15th century ruins - and having it all to ourselves. Another must-stop in our book. And, it's totally FREE! 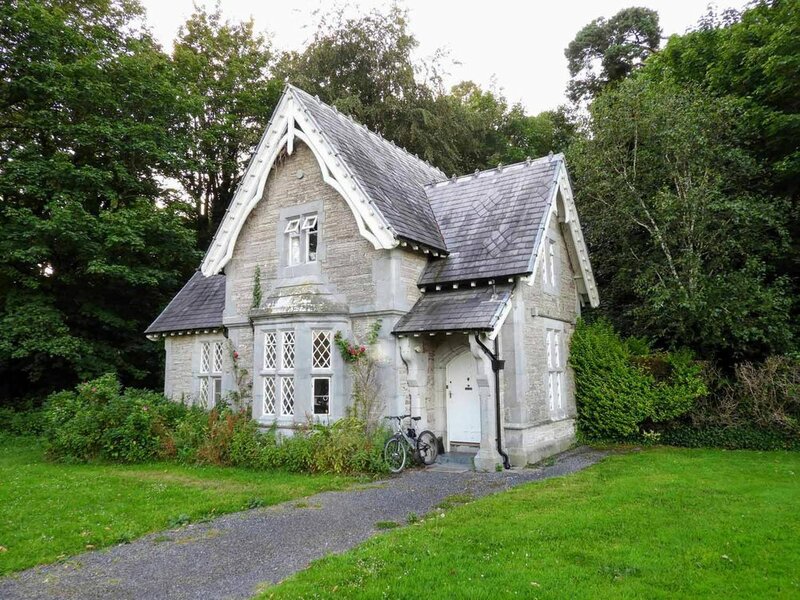 It's just a 5 minute walk from the car park on N71. 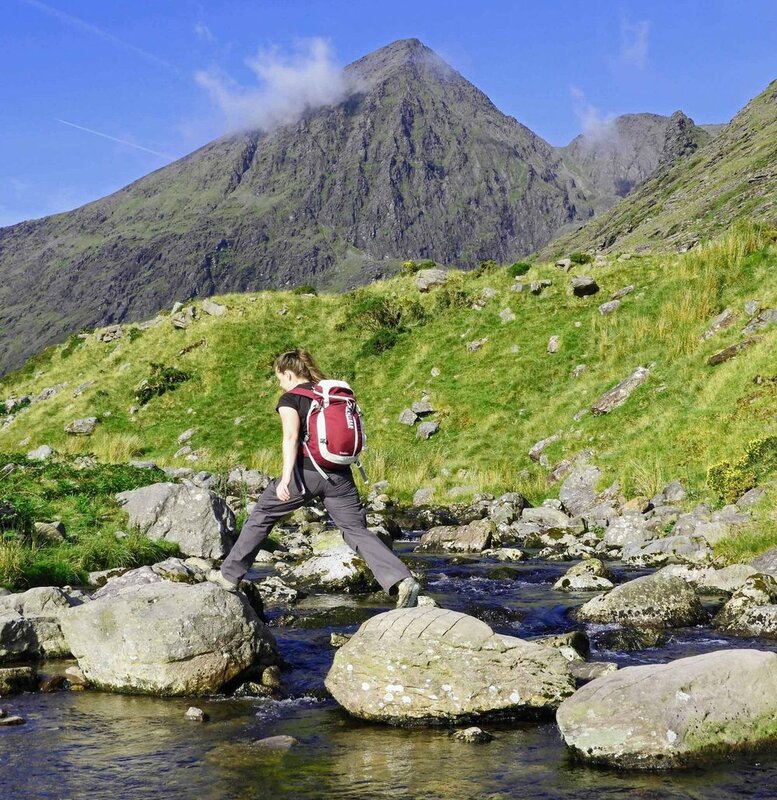 Ireland's highest mountain (1,038 m / 3,406 ft) and one of our very favorite Irish adventures! If you like a good hike, don’t miss this one! The only thing we can think of that you MUST know is that you MUST go.